What Happened to Comit Strategies? 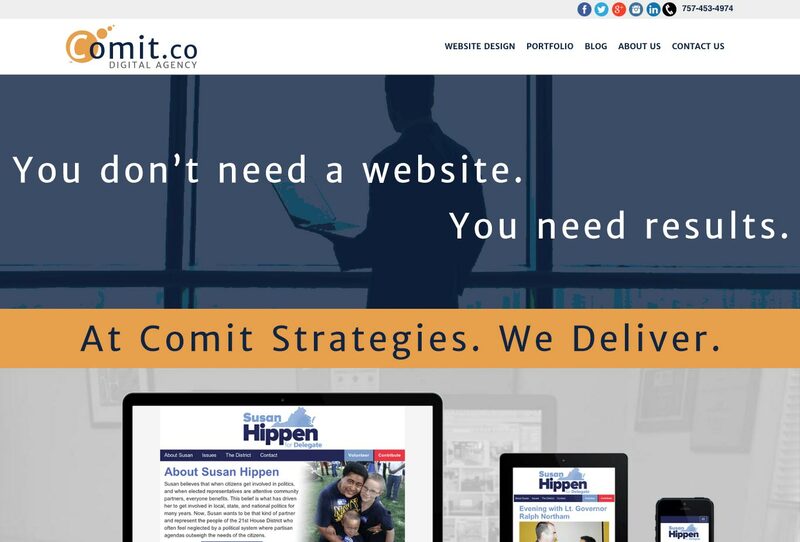 You are probably wondering why you are on this page and not a website for Comit Strategies. That is understandable. It is what I would expect as well. Sorry for whatever level of whiplash this may have caused. Let me fill you in on what is happening with Comit Strategies. Here’s what the Comit Strategies website at comitstrategies.com looked like right before I took it offline. I started Comit Strategies in 2012 when I first set out on my own. Originally, I tried to have the business branded as “ComIT”, but nobody really pronounced it the way I had intended. I quickly started using “Comit” and people read it as “commit” or “comet”. That was fine. I pronounced it closer to “commit” myself. Why “Comit?” It was a combination of communications and information technology. When I started, I offered everything under the sun related to both, from speech writing to server maintenance. Eventually, I focused on web development and hosting (via WP Covered). I share all this to say that “Comit” was never good for branding and I’ve never 100% felt comfortable with it. For all the reasons above plus the fact that after more than five years I still am alone in this venture, I’ve decided to move toward marketing and branding my service under my name, hence why you have landed here at joelmcdonald.me. I have found that it is much easier to speak as myself than as some obscure and unpronounceable company or brand. In short: New look. Same great taste.